Netizens opposing the controversial Cybercrime Prevention Act of 2012 also known as the Republic Act 10175 (RA 10175) will start protesting both online and offline starting Friday, January 11. 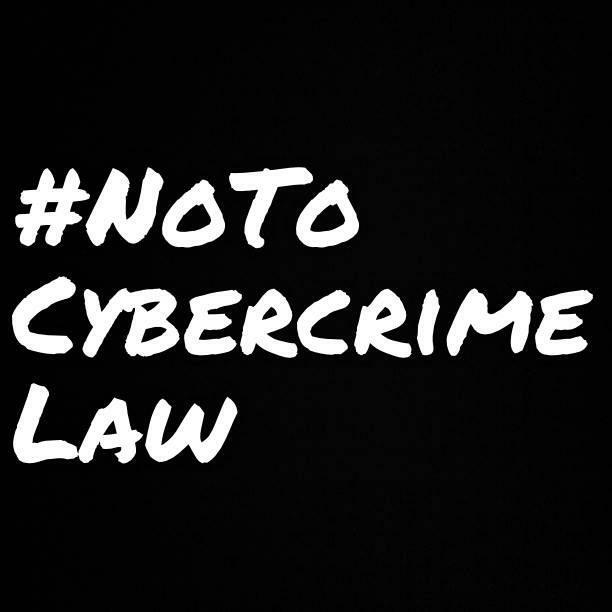 Filipinos are encouraged to change their Facebook and Twitter profile photos with any black images to show support for anti-Cybercrime Law groups. The hashtag #NoToCyberCrimeLaw is also expected to return in our Twitter timelines. There will be “splash pages” to deface some websites with a black screen. Aside from the online protests that are setup today, the petitioners against the cybercrime law will troop to Padre Faura street in Manila starting Monday night for a vigil. Bagong Alyansang Makabayan secretary-general Renato Reyes was also quoted in a GMA News article inviting people to bring any ‘musical instruments and sound system’to get the attention of the Supreme Court. Computer Professionals Union, an information technology group who is also against the controversial e-martial law, will be in-charge in setting up the “splash pages” on websites that will completely deface them with a black screen, a message of opposition from the group and a flashlight cursor. These protests are lined up for the upcoming oral arguments of the Supreme Court on RA 10175 which will be held on Tuesday, January 15. This post was first published at KabayanTech. SM eTreats, Coupons on Facebook! Let’s Play Smart Rewards Craze!